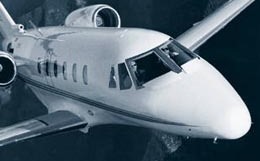 A comprehensive upgrade of the Westwind I, the Israel Aircraft Astra SP is equipped with a cabin of over 17 feet, including a new high-speed swept wing, specifically repositioned low on the fuselage for increased cabin space, especially headroom and shoulder room. The Astra SP features an impressive range and allows for up to 7 passengers. 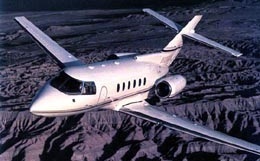 Israel Aircraft Industries (IAI) introduced the midsized transcontinental Astra in 1985 as a successor to the Westwind. This model featured several improvements, most notably its increased cruising speeds due to a redesigned moderately swept low wing airfoil design. In 1990, IAI introduced the next model in the Astra line, the Astra SP. Due to a redesigned aerodynamic wing and new airframe design, the Astra SP featured performance improvements such as increased range and increased take off performance. Amenities designed into the Astra SP include a forward galley and an aft full width lavatory. Production on the Astra SP started in 1990 and ended in 1995. 37 aircraft have been built so far. There are several cabin layout options available for the Astra SP, though the cabin is typically set up in a club and a half arrangement, with seating accommodations for six passengers. 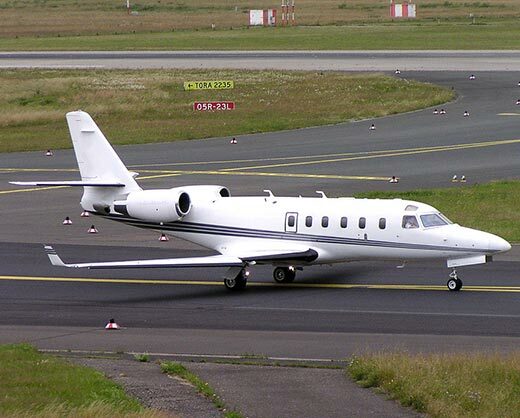 In a high-density situation, this private business jet is capable of accommodating nine passengers. The cabin of the Astra SP measures 52.7 feet in length, reaches 5.6 feet in height, and stretches a maximum of 4.9 feet in width with a floor width of 3.6 feet. 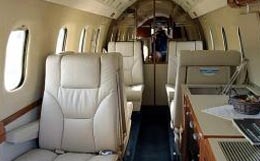 This private business jet features 60 cubic feet of baggage storage to meet your luggage needs. Ten windows surround the roomy cabin, providing an atmosphere bright with natural light. With a maximum cabin pressure differential of 8.8 psi, the Astra SP is capable of maintaining a comfortable sea level cabin altitude at an altitude of 23,000 feet. The Astra SP comes equipped with two Honeywell TFE 731-3C-200G turbofan engines. Each engine is rated at 3,700 pounds of thrust at takeoff. 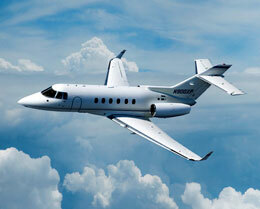 With these engines, this private business jet is capable of climbing to an altitude of 37,000 feet in just 16 minutes. The Astra SP requires 5,250 feet of runway to take off at sea level on a standard day. At an airport with an elevation of 5,000 feet, this takeoff requirement increases to 9,630 feet of runway. With four passengers, the Astra SP needs only 2,250 feet of runway to land. This private business jet features a maximum certificated service ceiling of 45,000 feet and a maximum range of 2,558 nautical miles. For a flight to a further destination, the Astra SP is capable of maintaining an airspeed of 412 knots at an altitude of 45,000 feet in a long range cruise configuration. For a swifter flight, the Astra SP is capable of maintaining an airspeed of 463 knots at an altitude of 35,000 feet in a high-speed cruise configuration. The avionics system selected for the Astra SP is a digital avionics suite. This system utilizes a Collins electronic flight information system (EFIS) 86C five tube panel in conjunction with a flight director system. Other instrumentation incorporated in this suite includes dual distance measuring equipment (DME) 42, a WXR 850A color weather radar, dual VHF 22 communication radios and VIR 32 navigation equipment, dual TDR 90 transponders, dual ADF 60, and a Collins APS 85 autopilot. For more information about chartering, leasing or buying a Astra SP please contact us by calling +44-20-3874-8091 or send us an email here.